Mustard yellow colored items have been some of my favorite lately. are some awesome mustard colored dresses all priced under $100. 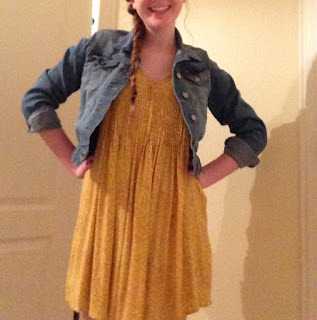 Here is a mustard dress that I bought at Old Navy around Easter. I don't remember the exact price but I know it was less than $30.